It's without doubt that BGC has become one of the prime food spots in the Metro. It's where you can find most of the non-traditional (and still a bunch of traditional) eats. However, despite the presence of interesting restaurants to explore, there is still a lot of us who are reluctant to visit. One of the most cited reasons -- budget constraints. 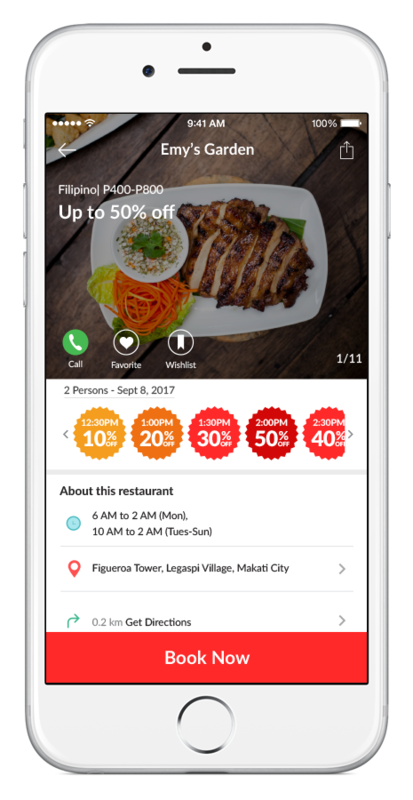 Well, here's some good news, you can now circumvent this via booking reservations under BigDish App. 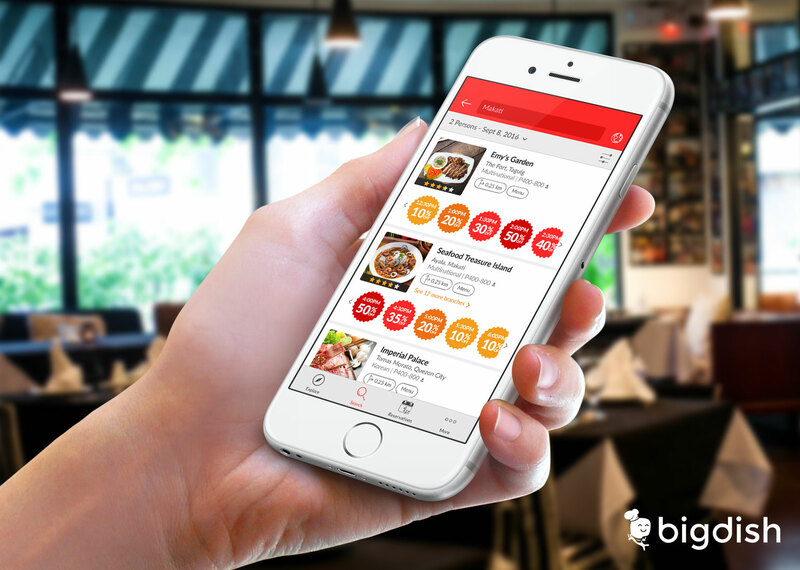 BigDish is a fairly new app that allows you to book reservation with ease, while at the same time getting some hefty discounts depending on the time you are booking your eat out. It's basically a foodie's best friend! 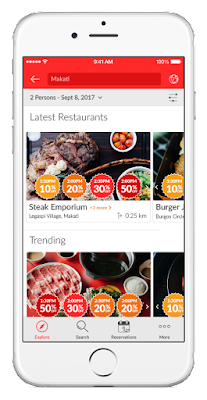 The interface allows you to clearly see which schedules provide the largest discounts. 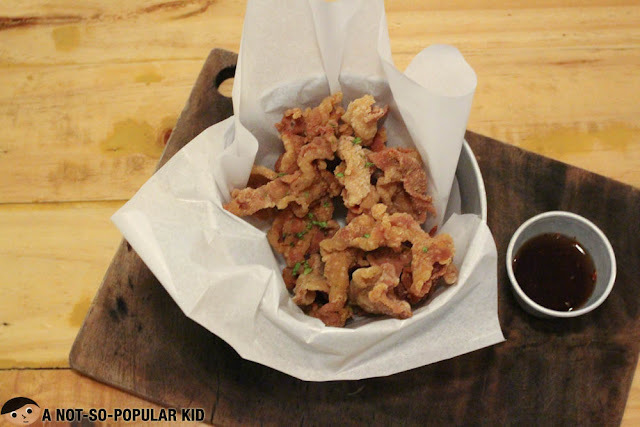 In fact, you can get as high as 50% off -- truly saves the budget while you still get to explore foodie hot spots! 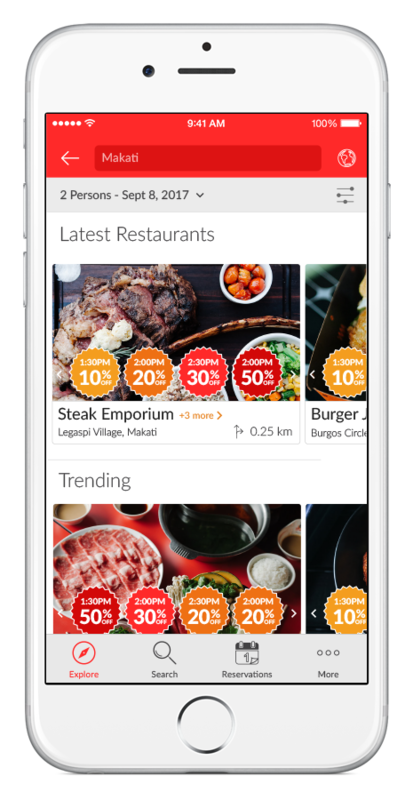 By the way, BigDish covers restaurants for the entire Metro Manila which includes Makati, BGC, Marikina, Pasay and etc. Now, I was given the privilege to give the app a try. It took me only two minutes to book the entire thing. I just needed to specify the number of people dining in and the schedule. That's basically it! My mom was more excited than I was after learning we'll be checking out Fat Daddy's Smoke House. 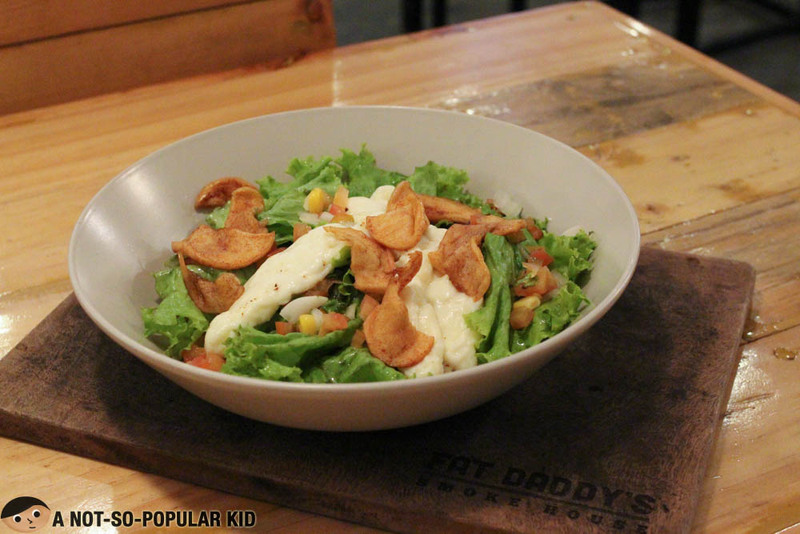 Fat Daddy's Smoke House is a great place to chill especially with its cool temperature and wooden interior. 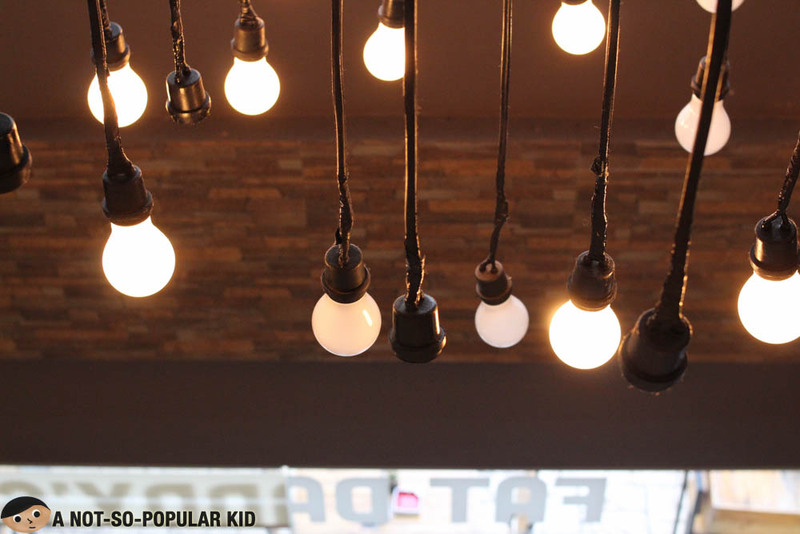 It's also homey given the "warmth" of the dim lights. 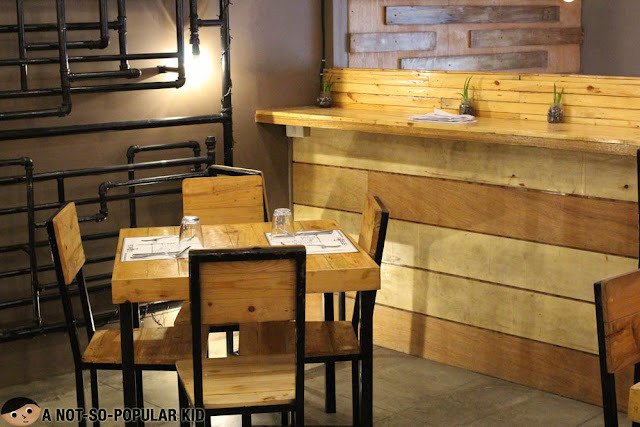 If you are thinking of having a casual date, this can be a great place! Also, those coming in groups will appreciate the vibe of Fat Daddy's interior. Given the name of the restaurant, Fat Daddy's Smoke House specialty revolves around smoked and grilled dishes which includes ribs, barbecues and a whole lot more. With its contemporary cuisine, the chefs try to innovate as much as possible. Let's check out some that we tried. Goat's Cheese and Apple Salad (P350) was interestingly great infusing the art of partially baking the apples, goat cheese was lovely as well. It may not be visually stunning at first, but flavors are blended well with its light balanced sweetness! 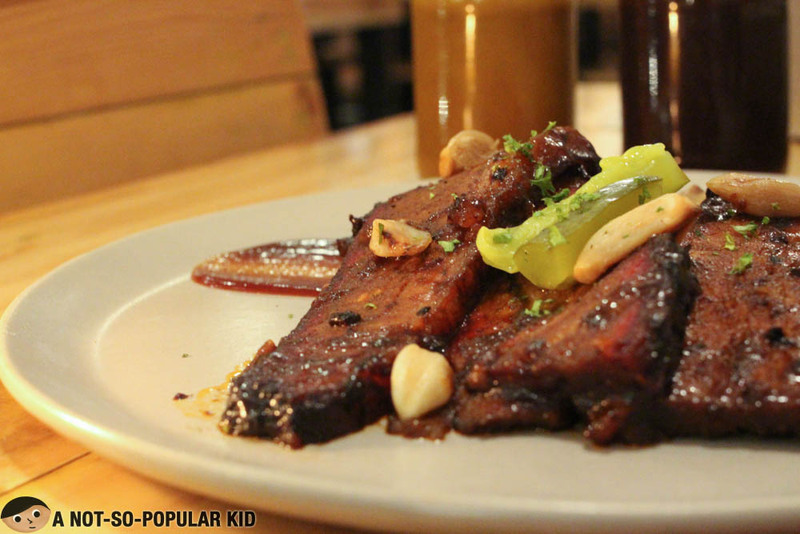 The Smoked Beef Brisket (P550) contains sheer amount of smoked goodness. Every bite just tells you how it was carefully smoked in long hours. For me, what gave more glory to this dish are the sauces on the table. Go for the Golden Alabama sauce, it will drive the flavors right to the right spots of your buds. The Bacon and Smores Dip (P300) is the bomb! It has the right amount of gooey-ness that blends perfectly well with the semi-sweet melted dark chocolate. Taste is further accented by the subtle saltiness of the bacon. Amazing! It's definitely a must-try! So, that basically ends the post. Can we just say, we can't wait to go back here to try other dishes? I miss the sauces already. 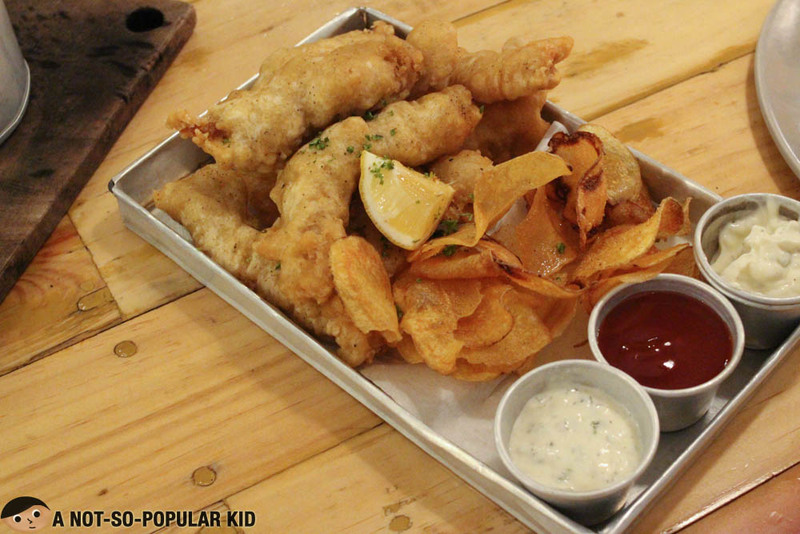 As you explore the food scenes in various parts of the Metro, Big Dish will definitely be a great companion. 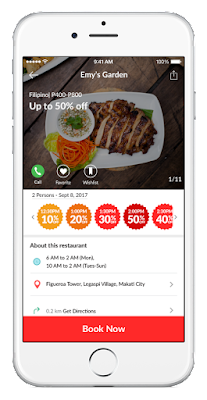 You'll enjoy huge discounts, making your food trips more affordable! Check out more about the app by visiting Big Dish website via the logo below. Go grab the app too. 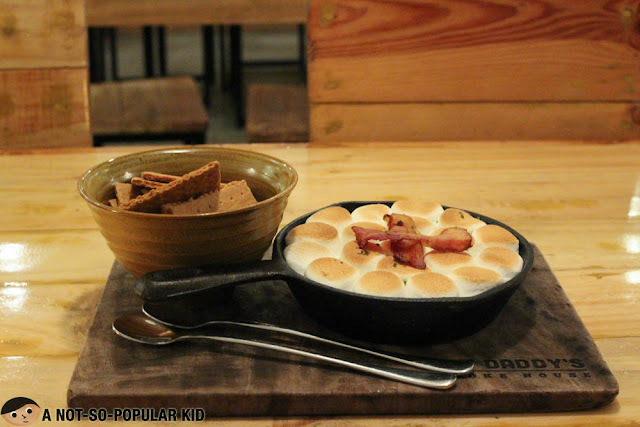 If you are looking for delectable smoked dishes, this restaurant is certainly a great place for you! 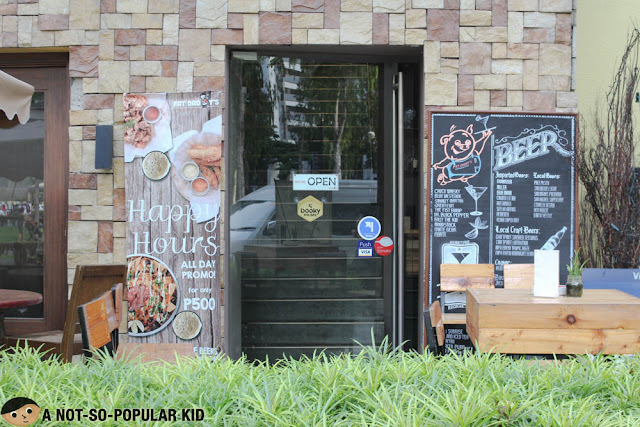 The restaurant has a very comfortable feel, and the menu has wide variety of dishes. Service is also warm and friendly. 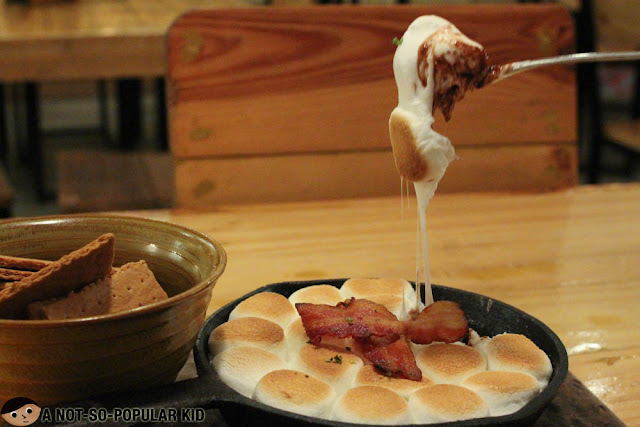 Recommended dishes include smoked pork ribs, smoked beef brisket and Bacon & Smores Dip for dessert. 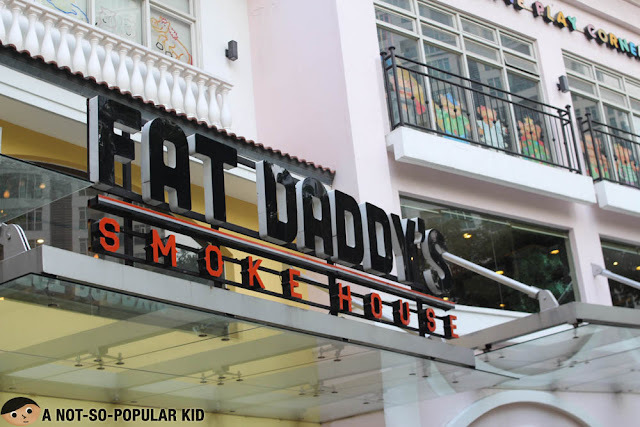 Fat Daddy's Smoke House is certainly a great place for foodies to explore!